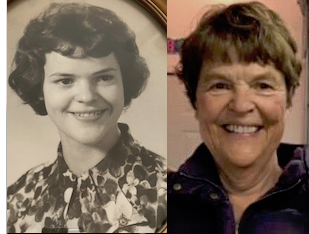 Diane Isabel Ellefson passed away unexpectedly on January 11, 2019 in Palm Springs, California at the age of 75. She was born in Athabasca, Alberta on 23 December 1943 to Alice (née Pratt) and Mervin (Slim) Johnston. Diane married Denis Terrien in 1962 and began her career with Alberta Government Telephones where she worked from 1965 until 1977. She married Ole Ellefson in 1976 and returned to work at Athabasca University in 1983. After 25 years of service, Diane retired in 2008. Diane is survived by her husband Ole, her children Dean Terrien (Karen), Duane Terrien (Jackie), Lawris Ellefson, and Olaf Ellefson (Rick). She is also survived by her six grandchildren Laura, Marc, Tony, Luc, Sydney, and Slate, by her great-granddaughter Myla, and by her siblings Doris Halman, Ione Senyk, and Donald Johnston. A celebration of life will be held on Friday, January 25, 2019 at the Athabasca Regional Multiplex at 1 p.m. In lieu of flowers, memorial donations may be made to the Athabasca Healthcare Auxiliary Association.